The core set! You have the core set right? The big box with 30+ miniatures, all the maps and dice and everything? I probably shouldn’t have to say this, but I have seen people asking about what to buy before they even have the core set. So get the core set first, it’s a great value, and a much more useful starting point than the X-Wing core set; you get way more content in here and you’re actually getting a full game. If you’re just starting out and don’t have anything yet or haven’t played yet, really all you need is the core set and you’re fine. Play a couple missions, try a skirmish game, see what you like, then come back here if you want some more content. So from this point on, I’m assuming you have the core set. 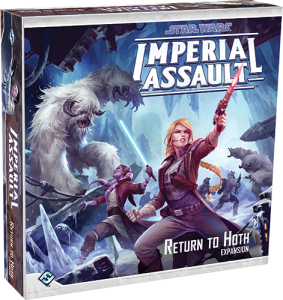 If you just want to keep it simple and make one purchase to add more content to Imperial Assault, get the Return to Hoth box. It’s the only large box expansions right now, and includes 16 figures (some wampas, snowtroopers, assassin droids, a tank and some rebel heroes), new snow map tiles, and a full new campaign. Great value with a lot of great content. If you only get one thing in addition to the core set, make it this. There are also 2 small box expansions, Twin Shadows and the new Bespin Gambit, but they don’t offer as much as the Hoth box does. However, they’re still great additions to the game and will be covered later. There are currently 3 boxed expansions available right now, with one on the way. These boxed expansions include new map tiles, a mission book, and a handful of figures, while the individual figure packs only include a single unit and one mission. So the true expansions are the boxed ones. Let’s take a look at these, and figure our which is best. Return to Hoth– Return to Hoth is easily the best expansion for Imperial Assault right now. If you’re just getting one expansion, get this one. For one, it’s a “big box” expansion, so this includes 16 figures (some wampas, snowtroopers, assassin droids, a tank and some rebel heroes), new snow map tiles, and a full new campaign. The other expansions only offer missions that can be shuffled randomly, instead of a story like the Core Set and this Hoth box. So you’re really getting more when you get the Hoth box. The Bespin Gambit– This is currently the newest one, and has some really cool maps from Bespin, along with some new heroes, units and missions. It’s all solid, but not the great value that you get from the Hoth box. Twin Shadows– This is the oldest expansion, and in my opinion the weakest. The biggest draw is the Cantina and Star Destroyer Bridge map tiles, but aside from that its just more Tattoine maps like the core set. 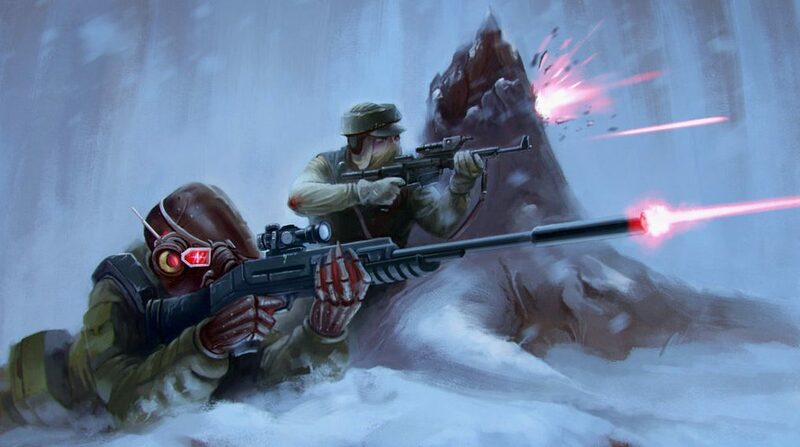 You do get some tusken raiders, which are neat, but the heroes are weaker than both Hoth and the Bespin gambit. I would save this one for last. Also, it is important to know that you do not get Boba Fett with this, despite him being on the cover. You have to buy his individual figure pack. I know, bummer. After the Core Set and Hoth expansion, what you get really depends on what game type you want to play more of. If you’re primarily a campaign player, you’re going to want different things than a skirmish player would, and vice versa. For example, you’re not going to want to get rebel saboteurs for campaign, but they’re phenomenal in skirmish. If you play both like I do, take a look at both lists and see what you’d like to have. Rebel Heroes- Here’s the thing; if you ask most people if you should get the Han Solo pack for IA, they’ll say”no way, he’s over costed and inefficient.” And they’re not wrong! Han is definitely on the lower tier as far points cost and in-game effectiveness. But the whole point of this game is going on Star Wars adventures! 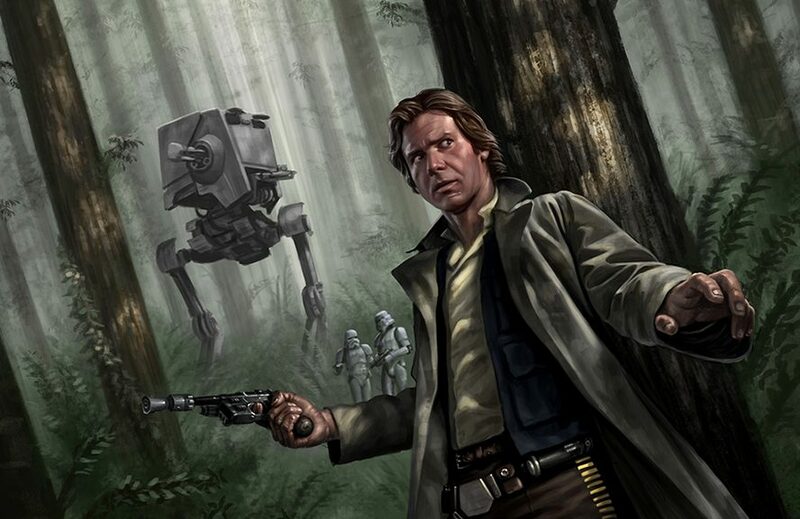 What’s more fun than fighting Stormtroopers and Darth Vader alongside Han and Chewie? That’s the point of the game! So I would say definitely get Han Solo, Chewbacca, Leia and R2/C-3PO (Luke is my favorite ally, and comes in the core set), as they’ll add a lot of fun thematic flavor to the game, with the caveat that Han Solo himself isn’t particularly powerful, and you have to earn the ability to bring these into a campaign mission. I would also suggest adding some house rules to a campaign to make it a little easier to bring in an ally, but that’s a different conversation. Villains- You also might want to get some villains to add a little variety to the campaign on the Imperial side. Some of the more popular ones are the Royal Guard Champion and Boba Fett. Since the Royal Guard Champion card already comes in the core set, you could just play with that and use a regular royal guard model, but the model for the Royal Guard Champion is really cool, and the mission to earn him as an ally comes in his pack, so you might want it. And having Boba chase around the heroes alongside the Imperial troops just feels right. I would probably go with Boba. Hired Guns- The Hired Guns are nice because it adds a little more for the Imperial Player to bring in at a really low threat level. It allows you to get some cheap, disposable units on the board to annoy the rebels, and you don’t have to earn them to be able to bring them in like you would for unique allies like Boba or the Royal Guard Champion. Box Expansions- I mentioned above that the box expansions are a great value, and that’s especially true for campaign. The Hoth box is easily the best, as it offers a whole new campiagn! Whoohoo!! Twin Shadows and Bespin Gambit both offer mini campaigns to play after you play the core set campaign, and come with some truly iconic map locations; Mos Eisley Cantina, Cloud City in Bespin, the bridge of a Star Destroyer, great stuff. I still think Hoth is the best, but they are all solid additions so you can’t really go wrong. For Skirmish, you’re generally going to want to pick a faction you enjoy and stick with it, that will help keep the costs down a little bit. So here’s my outline of some solid starting points for each faction, and will hopefully help you make a good decision to get going. Caveat: To play in Store Tournaments, you will need the map tiles and map cards for whatever maps are in the current rotation just to participate, which will usually mean the newest big box expansion and some of the new figure packs. Make sure to check what is in season before you go to a tournament. The rebels play style focuses on unique heroes and synergies, which for me personally makes them the most fun. Gideon, C-3P0, Luke, and Leia are definitely the go-to unique units for Rebels, with Gideon and C-3P0 being staples in just about every Rebel list because of their low point cost. The most popular generics are the Rebel Saboteurs, with the Echo Base Troopers, Rebel Troopers, and Wookie Warriors also getting a lot of play. I’d say along with the Saboteurs, C-3P0 and Leia, get whatever looks good to you. 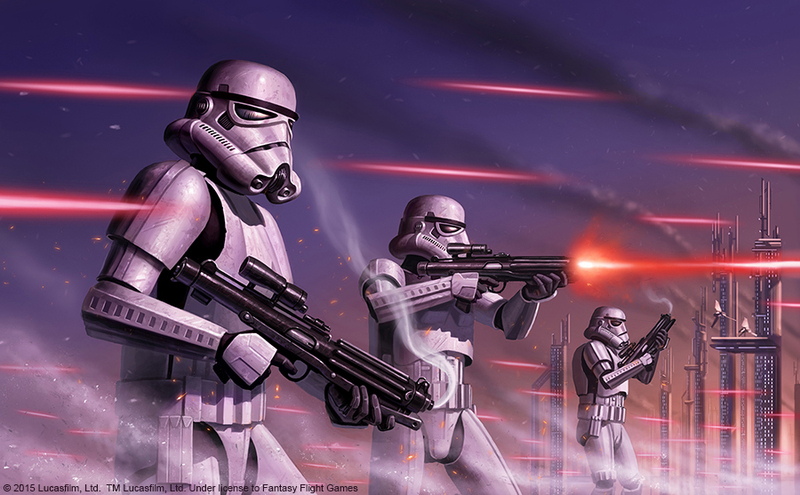 While the Rebels focus on heroes and synergies, the Imperial play style is more about strength in numbers and military might. The most popular Imperial list right now is definitely Imperial Troopers: Elite Stormtroopers, Imperial Officers, and some filler, usually something like Probe Droids, Royal Guards, Snowtroopers, or even Heavy Stormtroopers, if you’re able to mitigate their weaknesses. The newly released Agent Blaise has been seeing play in some Nationals trooper based lists as well. 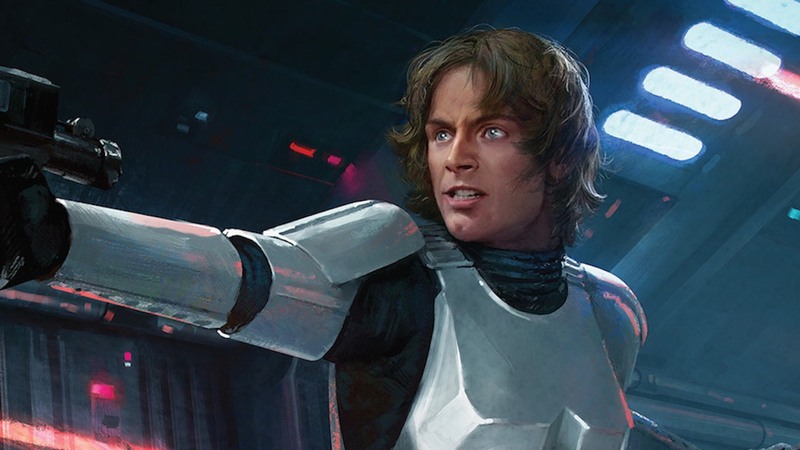 Luckily, a lot of this comes in the Core Set, so you’d only need to pick up either Hoth or Twin Shadows for the Snowtroopers or Heavies, a Stormtrooper expansion for another elite Stormtrooper card, and potentially the Agent Blaise pack. My vote is the Snowtroopers, because like I said the Hoth box is great and I like the healing abilities of the Snowtroopers; but there’s a lot of options. 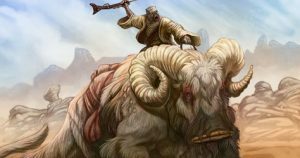 The Scum units are either bounty hunters or creatures, and right now the most popular unit is the Bantha Rider. Not only is it a great looking model, it’s huge, cheap and has a ton of health. A popular Scum list is something referred to as “Beast Machines”, which consists of something like a Bantha, a nexu, some HK Assassin Droids, and then some filler. The HK droids are really effective units for Scum, which makes the Hoth box essential. You could also throw in a wampa from the Hoth box as well. A lot of people use the card Temporary Alliance to bring Gideon and C-3P0 from the Rebels into a Scum list, since the Scum lack cheap support units. The newly released Bossk looks promising, and could prove to be a great scum figure as well. As cool as Boba is, he’s not the most amazing Scum unit, but he has good health, speed and damage; he’s just a little expensive for what he can do. That’s it! 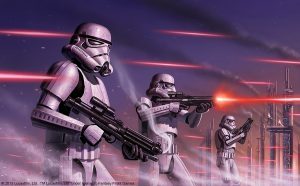 Hopefully this article helped you get started with Imperial Assault, whether you’re a campaign player or skirmish player. If you think I missed something essential, let me know in the comments! Great write up! I had a qu action that I haven’t seen answered anywhere else. I’m only interested in campaign play and detest having to use the cardboard “chips” instead of the models. Do you have a list of what ally/villain packs are necessary to replace all of the chips in each of the big boxes (I only have the core but want to make one big purchase)? What about wave 3 and 4? Nice summary, thanks for writing this! I picked up IA primarily for skirmish and just started getting into it, so it’s helpful to see recommendations on how to build a collection for that play mode vs. campaign mode. Hi. This is great. Could you update the extra expansion of jabba’s Realm and the next one coming out? Also can you play these expansions out of order and mix the heros up from the core game/expansions with each other? Like bespin hero, 2 core heros and jabba’s hero playing the campaign. Thanks for the comment. For your first question, unfortunately I haven’t been able to play Imperial Assault in a while and thus don’t have any experience with Jabba’s Realm, so I won’t be making an article on that. For the second question though, absolutely! You can play the expansions in any order you want, with any heroes. That’s one of the great things about the expansions.